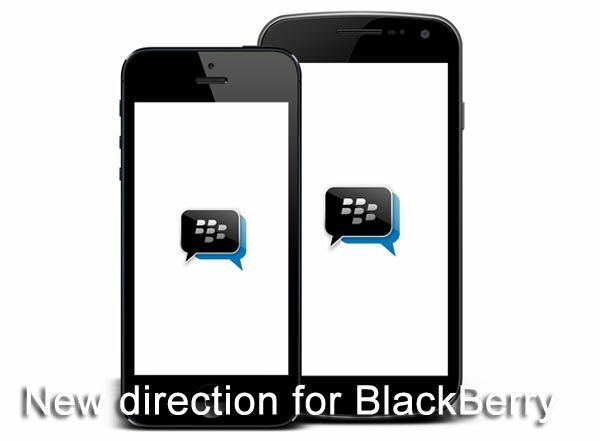 The BBM app for Android and iPhone could be a new direction for BlackBerry, and certainly one that is needed after their smartphone market share continues to decline. New reports highlight this fact along with painting a not so pretty picture of BlackBerry’s future and recent phone launches that haven’t gone as well as some people hoped. It is true that the BBM launch on Android and iPhone’s iOS cannot change everything for BlackBerry, but the company is in much need of a success story right now. One thing is certain, when things are not working how you want them to you need to make changes with a new direction and some small steps of success to create hype among users. BlackBerry’s struggles before BBM lands on iPhone and Android — early sales of BlackBerry’s Q5 reveal underperformance in Canada, states Peter Misek, and this is just the start of a list of reasons why BlackBerry is struggling right now. In a CBC news report, the author highlights the declining market share and reveals BlackBerry 10 smartphone shipments will likely hit 2 million a quarter. This is 500,000 less than was originally predicted and while there’s no doubt about BlackBerry being a major smartphone player around the world, their market share is constantly weakening. A new direction – the above report also highlights a number of comments from Misek. The most notable touched on a belief that BlackBerry’s value lie in services and not smartphones, which obviously includes Enterprise and BBM. The move to Android and iPhone should have been taken a number of years ago, but better late than never as they say. Whatever happens, BlackBerry will need to create revenue and we touched on a BBM token fee for Android and iPhone in the past. This could mean the best way for BlackBerry to make money from these new users is with premium add-on services.